Laura Katherine and Kevin’s day is remembered by everyone for how much fun it was! Everyone was such a blast! Laura Katherine is friends with our own Clay, and she was in the bridal party! We loved how bright this wedding was. 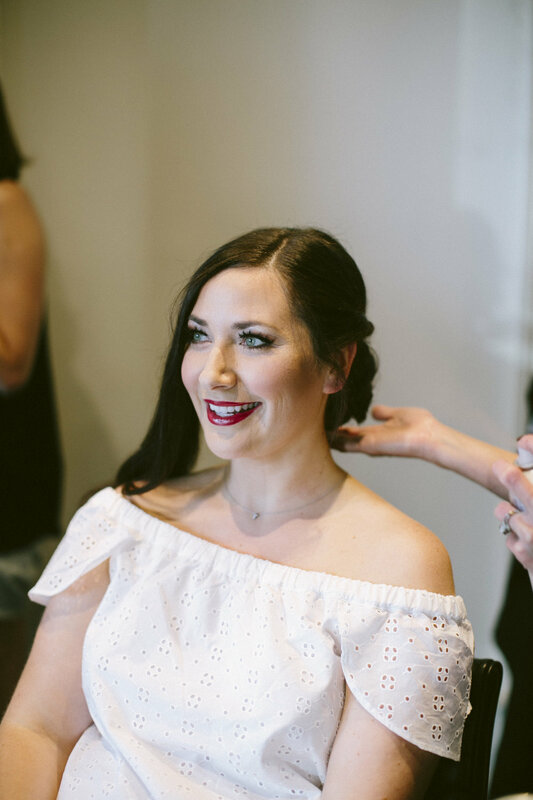 Laura Katherine loves bold coloring and we loved incorporating it into her wedding design. In typical Alabama fashion, there were spotty showers all day, but that did not stop the fun. The happy couple celebrated their vows and on the rooftop of the Kress Building. One highlight from this wedding was the first look. How sweet are these pictures! Jett Walker Photography is always amazing!